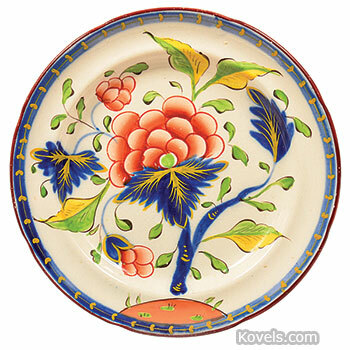 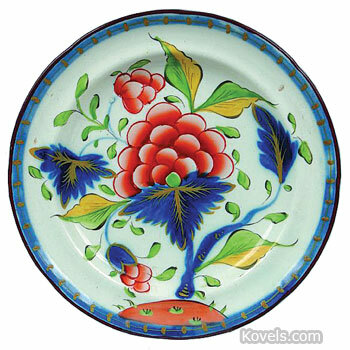 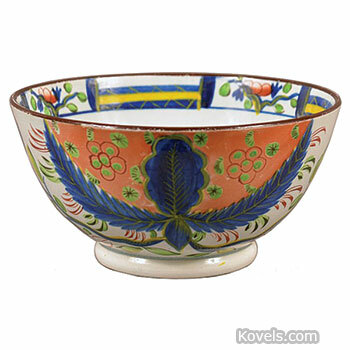 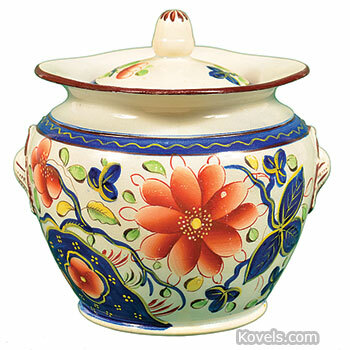 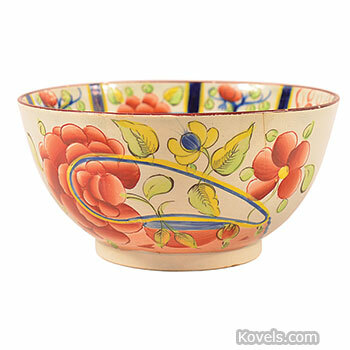 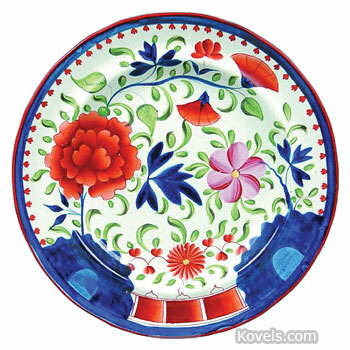 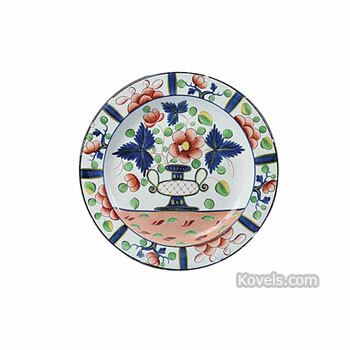 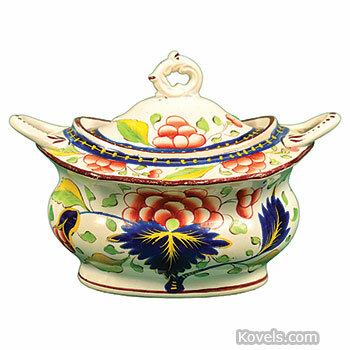 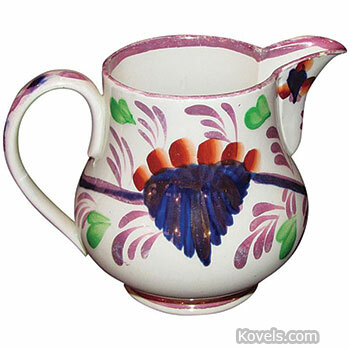 Gaudy Dutch pottery was made in England for the American market from about 1810 to 1820. 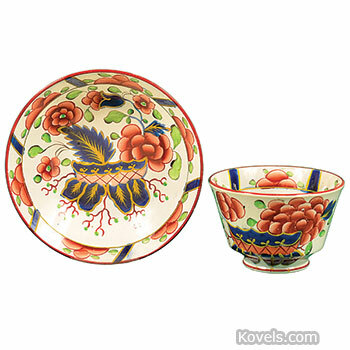 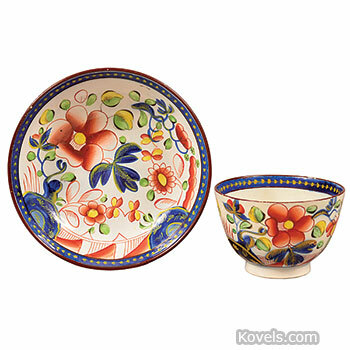 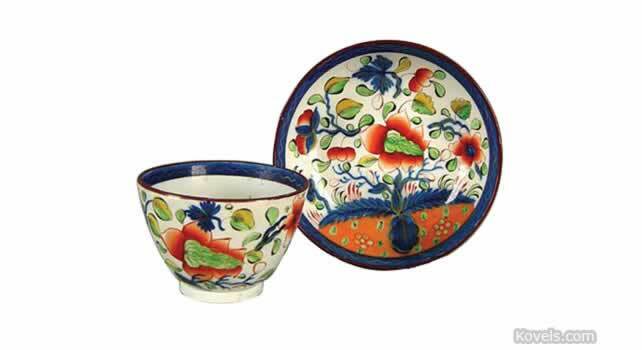 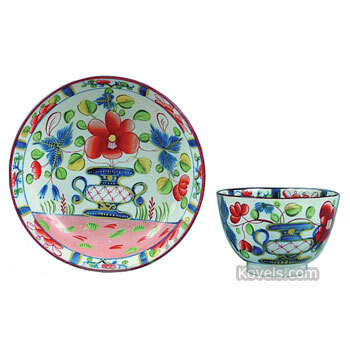 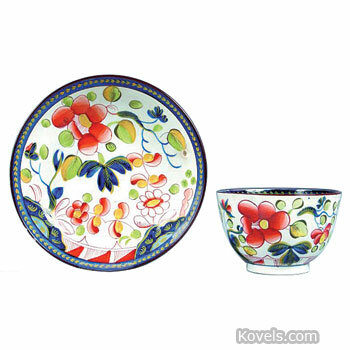 It is a white earthenware with Imari-style decorations of red, blue, green, yellow, and black inspired by Japanese Imari Pottery. 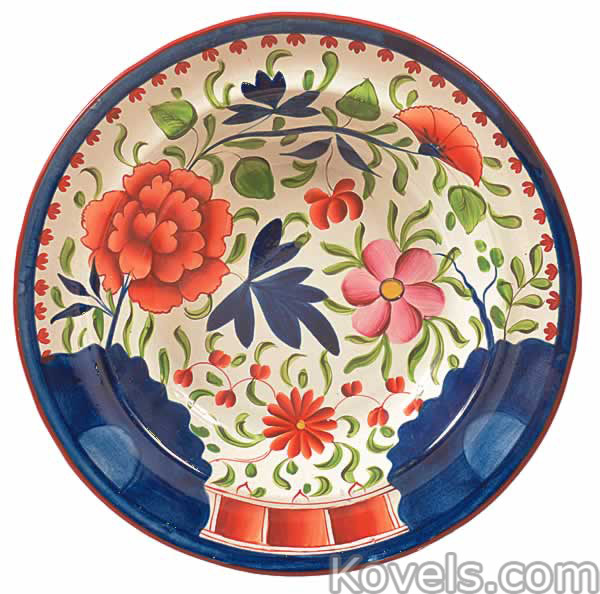 Only sixteen patterns of Gaudy Dutch were made: Butterfly, Carnation, Dahlia, Double Rose, Dove, Grape, Leaf, Oyster, Primrose, Single Rose, Strawflower, Sunflower, Urn, War Bonnet, Zinnia, and No Name. 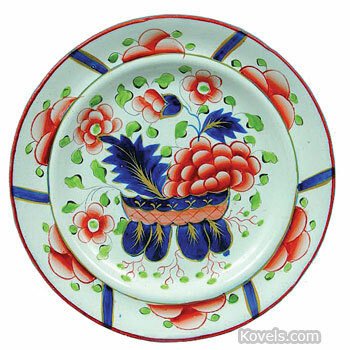 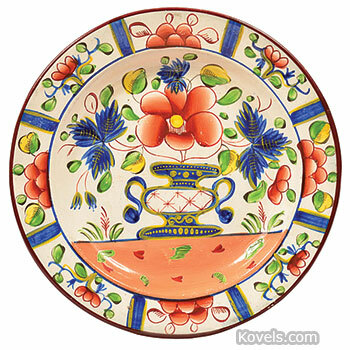 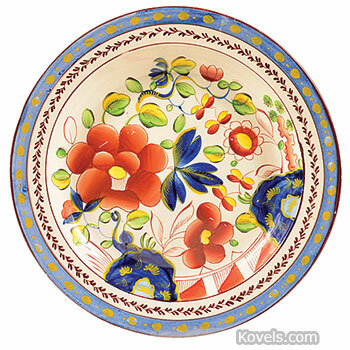 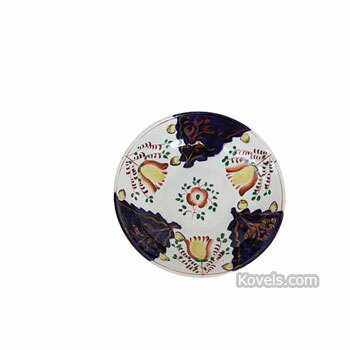 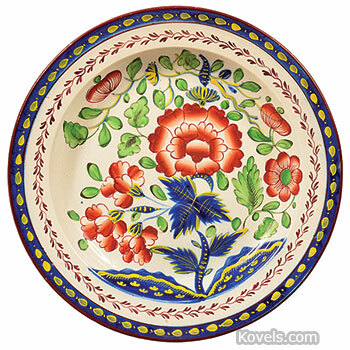 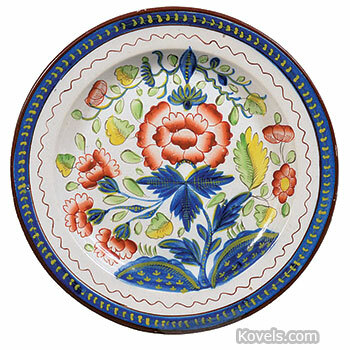 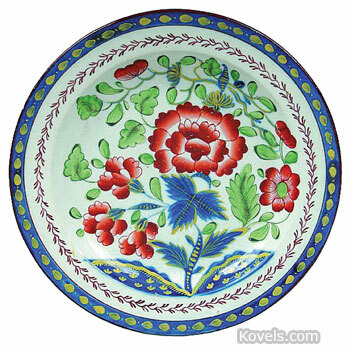 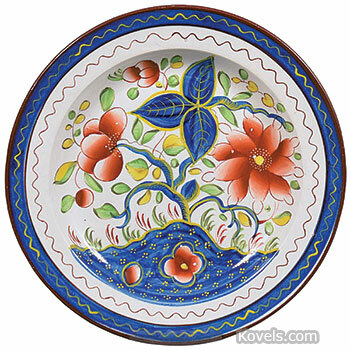 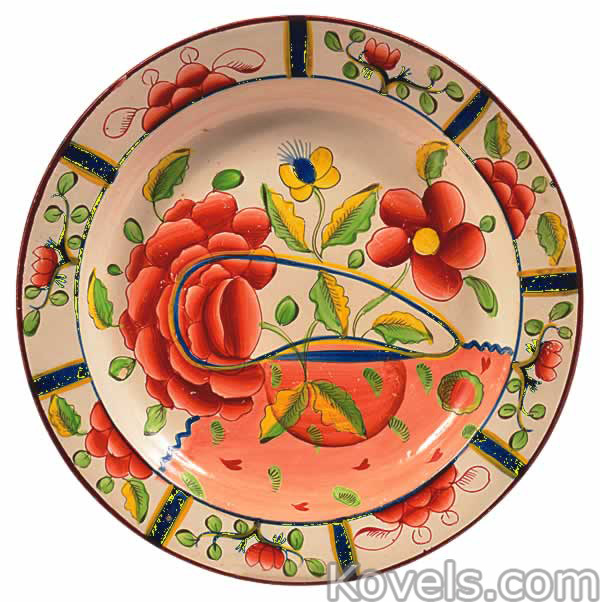 Other similar wares are called Gaudy Ironstone and Gaudy Welsh. 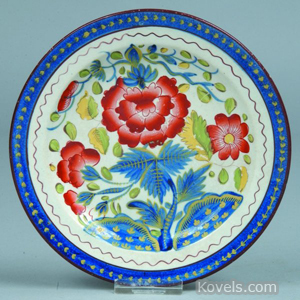 Some of the Gaudy Dutch items were marked with factory names, such as Riley (1802-1827), E. Woods and Sons, Burslem (before 1814), and Rogers (1815-1842).